CascadiaNow! Presentation at Seattle Central College tomorrow! — CascadiaNow! Learn about Cascadia, CascadiaNow! 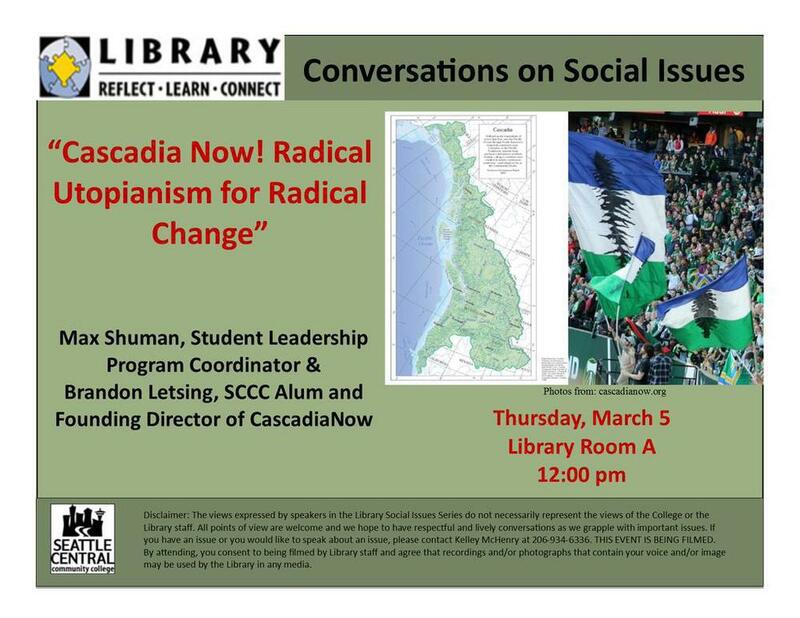 and the Cascadia movement from Max Shuman and SCCC alum and founding director Brandon Letsinger. The presentation will be held at Seattle Central Community College library room A at 12pm.